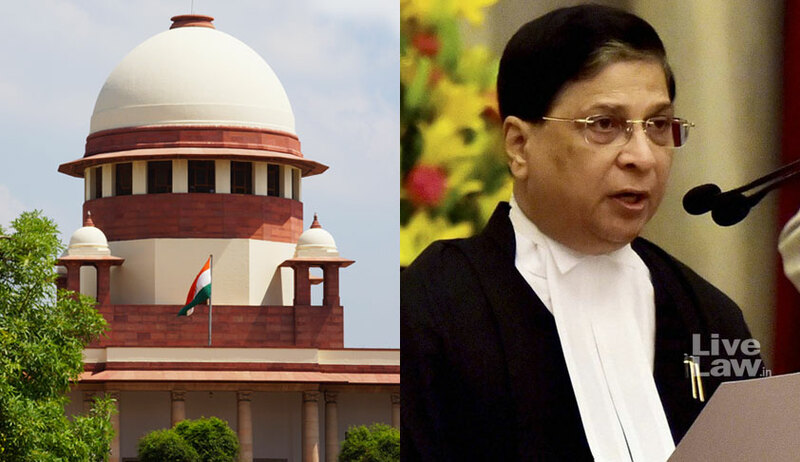 Three law students interning at the Supreme Court of India have written to Chief Justice of India Dipak Misra requesting him to reconsider the ban put way back in 2013 on law students and pre-enrollment interns from entering courtrooms on miscellaneous days saying it is resulting in law students getting deprived of important lessons on admission of fresh cases. Ashwariya Aggarwal, a third year students at Modern College of Law, along with Aman Shekhar and Nemeezia Amin, fourth year students at Lloyd Law College, have written to CJI Misra praying that the notice dated August 21, 2013 be reconsidered. The 2013 notice announced that from September 2, 2013, law students and pre-enrollment interns would not be issued passes on Miscellaneous Days and their entry to the court was also banned. The move was necessitated due to overcrowding of courtrooms and corridors in miscellaneous days. Many lawyers complained of not being able to reach the courtroom when their cases were called out due to overcrowding forcing them to take a passover. In their letter to CJI Misra, the students said, “…notice not allowing interns to enter the courtroom would deprive the students from learning as to admission of fresh cases”. They said the complete ban on law students who would be part and parcel of “this valuable institution” requires reconsideration and suggested measures to regulate crowd if the law students are allowed entry on miscellaneous days. Online application to be submitted by law interns but only 100 may be allowed entry on a given miscellaneous day with 10 in each courtroom. The selection of application may be on first come first serve basis. A certificate may be issued by the Advocate-on-record concerned in favour of the intern certifying that the intern has read the brief and is interested in witnessing the court proceedings and its outcome. Interns may be allowed after 1130 HRS inside the courtroom. They have also sought a meeting with the CJI to explain their “mental agony and hardship” owing to the restriction in place.